Fall semester is the perfect time to reunite with friends, take exciting new classes, try new clubs or activities you put off last semester, and of course, root for your favorite RIT athletic teams. 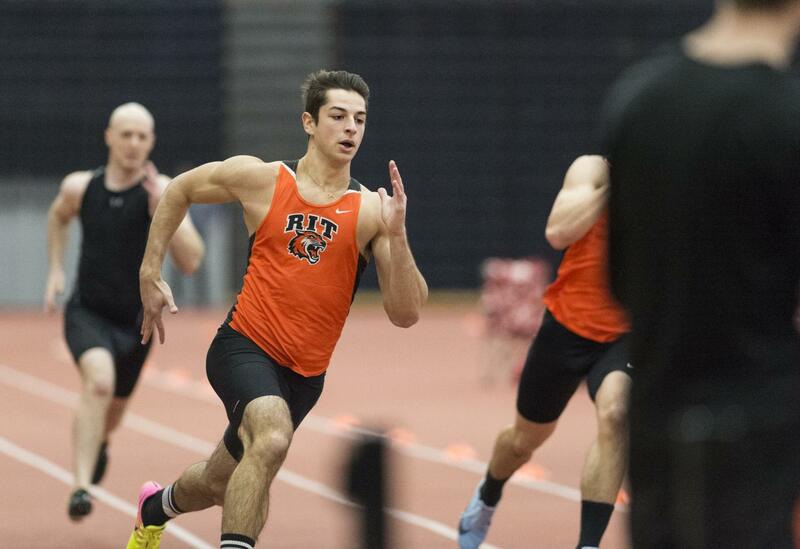 Whether it be crew, hockey or track and field, you won’t be disappointed by what the RIT's athletic teams accomplished last semester. Women’s crew did an outstanding job on the water last semester with top-five finishes in all divisions at Head of the Fish Regatta, where varsity-eight took home Liberty League's “Boat of the Week” honors for their participation and a top-seven finish at the 53rd Head of the Charles Regatta. This is the oarswomen's fourth consecutive year placing in the top 10 at this event. The Tigers also took home top-three finishes in all divisions at the Head of the Genesee Regatta earlier this season. Men’s crew had an outstanding year as well, displaying teamwork and speed throughout the season’s key regattas. They swept the Head of the Genesee Regatta early in the season with all first place finishes. At the 53rd Head of the Charles Regatta, the oarsmen had another solid showing. “[We] finished 18th at Head of Charles which is our big race. [This] allows us to come back next year, which we’ve never done," said Connor Murdock, a fourth year Industrial and Systems Engineering major. The team represented RIT well at the Head of the Fish Regatta where the varsity eight boat finished in fifth place, the second varsity team finished in first place and the team's B entry finished in eighth place overall and first place among its division. A positive take away from the season was the blend of experience and youth that season has brought. “This was one of the best years we’ve had so far. A lot of young guys joined so it’s going to be a stronger team down the line. The new 24-year-old coach Jim Bodenstedt has brought a lot of new enthusiasm to the team, and we think that’s why we’ve been doing so well,” Matt Kehoe, a fourth year Economics student, said. “This was one of the best years we’ve had so far." Altogether this season for the oarsmen and oarswomen can be called nothing less than a success and we can’t wait to see what they do when they return to competition next season. The cross country team had a great season with five top-five finishes for the women and six top-five finishes for the men. The teams kicked off their season with a strong showing at the Highlander Twilight Invitational, each racking up second place finishes. James Bailey, a fourth year New Media Design major and Evan Feigel, a third year Biomedical Science major, took a 1-2 finish which helped the Tigers secure 36 team points. Becca Schwan, a third year Marketing/Hospitality and Service Management major, came in first place, finishing just four tenths of a second ahead of the second-place finisher, helping the women's team secure 45 total team points. The team then took their talents to Rowan University in New Jersey for the Bill Fritz Invitational where Otto Kingstedt, a third year Graphic Design major took home the race crown for the men and Jennifer Crossen, a fourth year Chemical Engineering major, was the women's top finisher, placing third. Overall, the women took home first and the men took second. For their third tourney, the team went back to Houghton for the NCAA Atlantic Region Preview where Kingstedt took home his second consecutive race crown and for the third time, the men placed second. Schwan was impressive yet again, helping the women take home a second consecutive first-overall in the team competition. 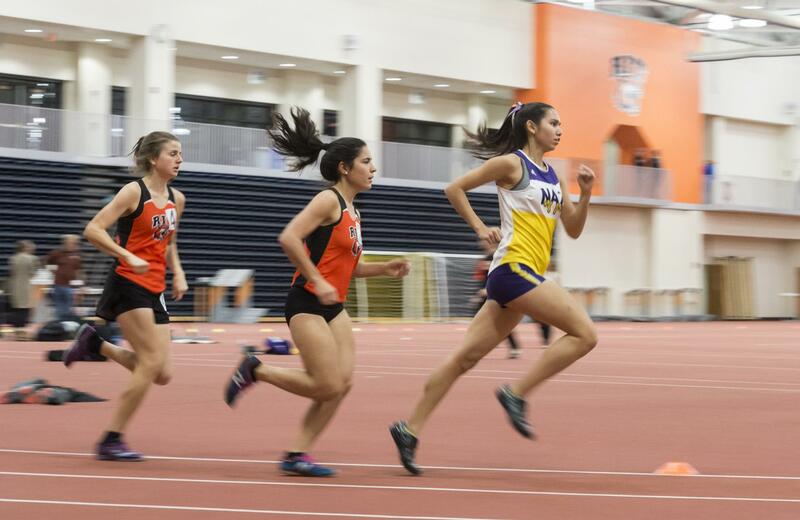 The Tigers then competed not too far from home in the Rochester Yellowjacket Invitational at the University of Rochester where Kingstedt took home a third consecutive race crown and Schwan finished fifth overall. The men’s team came in first place and the women came in third. The Liberty League Championships were next and the team did exceptionally well, taking home top-four finishes. Yet again, Kingstedt and Schwan's admirable performance led them to take home second and seventh overall in their respective races. The RIT women’s hockey team kicked off their season against Holy Cross, securing a win and a tie over the weekend. Rensselaer Polytechnic Institute (RPI) was on deck next, and unfortunately the Tigers fell short, losing both games. Sitting at 2-2-1 after the first five games, the Tigers were coming out the gates slow, but looked to pick it up. They then went up against Yale University and Lindenwood University, each series with a win and a loss, securing the win against Yale in overtime. The Tigers then took on Boston University and nationally ranked #10 Robert Morris University with a record of 1-3, dropping the weekend against Robert Morris and splitting against Boston University. A marquee matchup against Syracuse University saw another weekend of tough losses. Overall the women’s team has had a tough go of it, but they look to respond with a good second half of the season, fighting hard to make a deep playoff run. As of now, they stand at 4-19-3; be sure to get out to a game and support your home team! The men’s hockey team started their season off well, going 3-2-1 in their first six games against Brock, Northeastern, Union, RPI and Army. The Tigers were on fire for their first game, winning 3-1. They tied 3-3 in a shootout against Northeastern at Blue Cross Arena for RIT's Brick City Homecoming game. The following two games saw losses against RPI and Union. “It’s been a good year so far. I’m really happy with the way we played, starting off with Blue Cross game," said Wayne Wilson, the men's hockey coach, back in the fall. "We only had one disappointing weekend against Union, who I thought was a very good team." The Tigers got back to their winning ways, sweeping Army and extending their three-game winning streak into the first game against American International College (AIC). With AIC winning the second game that weekend, the Tigers then turned their attention to Robert Morris University where they swept the competition in true tiger style. “Our league has been very tight. We went and swept Army which we needed. We played our best against Holy Cross and in our first game we lost, and our second game against AIC which we lost. I’ve been happy with where we are at and now we face another nationally ranked team, and hopefully, we can get a win out of them,” Wilson said, discussing the first half of the season. After Robert Morris University, the Tigers went 3-4 against Air Force, University of Connecticut, Providence College and Holy Cross respectively. Right now, the Tigers sit 10-13-2 and are optimistic that the second half of the season will fair similar results and propel them deep into the playoffs. Overall, all of these atheletes had great seasons and deserve a round of applause and congratulations. For rowing and cross country, we're excited to see where they will go next fall. The hockey teams will continue to excite as they finish off their season this semester.